Fall 2013 anime announcements are now in full swing and Crunchyroll has two big simulcasts to shout about today in the form of “Gingitsune: Messenger Fox of the Gods” and “Ace of the Diamond”. Based on the manga written and illustrated by Sayori Ochiai, Gingitsune: Messenger Fox of the Gods is set to broadcast every Sunday starting on October 6, 2013 at 10:05 am Pacific Time for its premium members, with free members able to watch one week later. 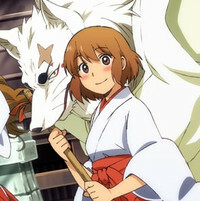 More information can be found on www.crunchyroll.com/gingitsune. 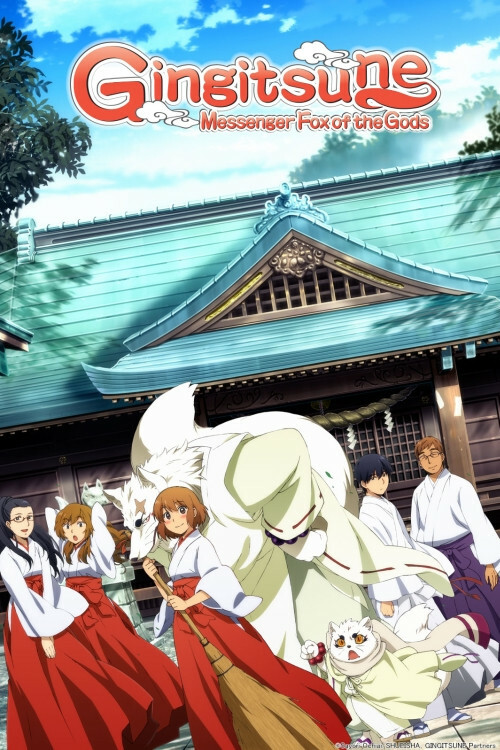 Gingitsune: Messenger Fox of the Gods follows the everyday life of Makoto Saeki, who is the 15th successor to her family’s shrine. As a result, Makoto is able to see Gintaro, a messenger of the gods who is the spirit of a sacred silver fox and has lived at the shrine for over 350 years. As a messenger of the gods, Gintaro has the ability to see into the future, and uses it to help Makoto only when she is truly in need. This is the story of friendship between a delicate teenager and a shy and stubborn messenger of the gods. Gingitsune: Messenger Fox of the Gods will be available to Crunchyroll’s Premium members worldwide except for Asia, and available to free members in USA, Canada, UK, Ireland, Australia, New Zealand, South Africa, Denmark, Finland, Iceland, The Netherlands, Norway, Sweden, Spain, Central and South America, and Portugal. ACE OF THE DIAMOND will simulcast every Saturday starting on October 5 at 5:30 pm Pacific Time for its premium members. 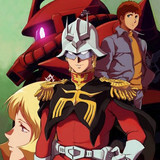 Free users will be able to view this series one (1) week after initial broadcast on Crunchyroll. More information can be found on www.crunchyroll.com/diamond. 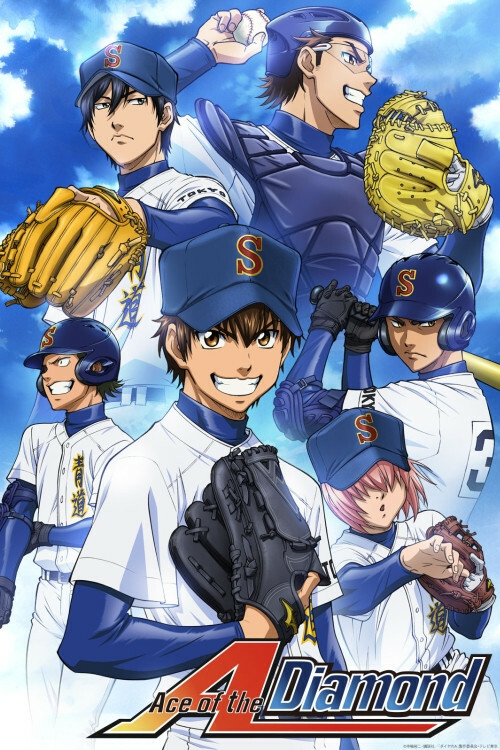 ACE OF THE DIAMOND – penned by Yuji Terajima – has become a critically acclaimed success after winning the 53rd Shogakukan Manga Awards(2008)under the shonen category and two years later it won the 34th Kodansha Manga Award for best shonen manga. “I want to pitch to that mitt again..."
A meeting with catcher Kazuya Miyuki changed the 15-year-old Eijun Sawamura's life. He said goodbye to all his friends and knocked upon the door of Seidou, a prestigious baseball school, intent on testing his own strength. There, he met many proud baseball players who were betting everything on the sport! ACE OF THE DIAMOND will be available to premium users all around the world except for Japan. Free members in the following territories will be able to view it under ad-supported streaming: USA, Canada, UK, Ireland, Australia, New Zealand, South Africa, Denmark, Finland, Iceland, The Netherlands, Norway, Sweden, Central & South America, Spain, Brazil, and Portugal.